Dedicated Franchise support is needed to take an associate partner to the pinnacle of any business venture. Be it Franchise Support, Marketing Support, HR Support, IT Support, Layout Support, Operations Support and R & D Support Kairali stands by to render best of its unmatched potential to its associates across the globe. Kairali franchise business model provide all kinds of technical assistance and support right from the interior design to providing equipments, ayurvedic oils, medicines, professionally trained therapists & Ayurvedic Doctors to our franchisees. Kairali Franchise has a number of success stories that speaks volumes of the quality and effectiveness of Traditional Ayurveda therapies. Our vast experience in the wellness industry assists our franchisees to keep on growing in terms of revenue and expertise. They are also upgrading themselves from Ayurvedic Spa to Luxury Ayurvedic Spa, where they are expanding in terms of business and higher level of customer experience. Apart from this we impart training to our franchisees to run Ayurvedic Luxury Spa successfully and provide marketing support through our well established & ever growing network. Success of our franchises are entrusting with confidence to spread our wings and search for newer horizons. Our Franchise Business Model is simple, convenient and effective. 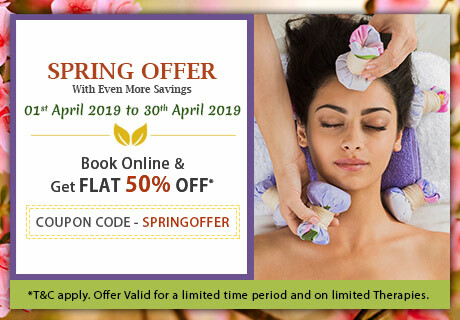 Kairali group has a great brand value and is renowned for its exquisite Ayurvedic Health Resorts and Treatment Centre in New Delhi, Maharashtra(Mumbai),Kerala, Karnataka and Khajuraho (Madhya Pradesh, India). We also have Ayurvedic Health Spas in all major cities in India, Franchise & Associate Centers in Bankok, Japan, Czech Republic, Bulgaria, Abu Dhabi, New Zealand and Mauritius. We are shortly expanding our roots to U.S.A., UK, France, South Africa etc.... Kairali is no stranger to Spa visitors and connoisseurs of good health. The flagship of Kairali offers brand recognition and quick brand recall. We are traditional yet contemporary in terms of the wonderful health therapies offered. The equipment’s and herbal Ayurvedic products used are all as per the ancient texts. Your clients will always feel relaxed, refreshed. This traditional touch goes a long way in maintaining long lasting clientele relationship. Kairali Franchise can offer you various models which could be set up as per your convenience and requirements. The minimum area needed would be 1200-1400 sq. ft., which is quite unique with Kairali franchise. Lesser investment maximal returns: Our Franchising Business Options and Wellness Spa opportunities are easier on the investment side. This would help you to arrange for funding easily and with lesser hassles. Kairali Luxury Spa & Treatment Centres requires minimal investment and a short period of time to get established. This would help curtail establishment cost and thereby needs lesser time to be fully operational. Kairali Centre can be operational on all 365 days in a year*. Our therapies are specially designed to be offered throughout the year. Which makes the business a success round the year and makes others envious of your success. Kairali would provide an exquisite design for your interiors and ambience that will take your guest’s breath away. Our project consultants will plan the overall traditional yet rich feel of the place. The charges of the project consultants would be available on request. Kairali Ayurvedic Spa & Treatment Centres are famous for its WOW effects. Intricately designed massage beds carved out from wood of medicinal value. Original brass equipment’s and utensils not only add to the charm of the place but also aids in therapeutic procedures. Side tables, wooden steps, toiletries, wiping towels are other accessories that makes the treatment complete. We think of everything! Kairali franchise provides help in recruiting, training and placement of its staff at an affordable cost. The staffs can also be hired to the company under a contract at optimum package to keep the overhead cost of the company to a bear minimum. Training of the therapist and Doctor are also done free of cost at our world class resort. This Ayurvedic training institute helps you to get highly groomed staff in the shortest possible time. Kairali would help you to chart Standard Operational Protocols for maximizing client comfort while minimizing confusions in Centre Operations. We assist in developing start up and on going marketing and advertising plans. Our marketing team would provide you extensive coverage in India as well as abroad. Our marketing skills and support will help you to cut out a niche in this ever expanding hospitality industry. Our aggressive offline and online marketing team would impart secrets of Kairali and entrust the much needed impetus to your trade. Kairali participates in various fairs and exhibitions which would give you a global presence and believe us at no extra cost. Kairali will provide you with latest software that would make the smooth running of the spa. We offer wellness software where we could easily handle billing, inventory management, staff management, and book keeping purchasing, invoicing, case studies and much more. All this would be available at the click of a button and would help in performance analysis of Ayurveda Centre. Kairali health spa not only provides the client with energizing and refreshing therapies but also takes care of the health concerns. Our Doctor at your ayurvedic clinical spa would help diagnose the various health problems and provide apt therapies. Kairali has two pharmaceutical units namely (Kairali Pharmacuticals and SPALabs) that manufacture herbal oils, Ayurveda medicines and patented products in GMP (Good Manufacturing Practices) certified units. So we are the one stop shop for all your Spa needs. Special beauty cosmetic products can be sold in retail and add up to the overall revenue of the Spa. These products are also competitively priced and are available at fabulous discounts too. R & D is an ongoing process at Kairali. With 80 years of tradition dedicated efforts; helped us to learn, understand the intricacies of natural healthcare. Constant improvement and rigorous polishing our skills makes us a leader in Ayurveda. We even develop educational materials to educate franchisees and guests on the benefits of spa services and products. We constantly evaluate and upgrade our existing products and services to keep up with the demands of ever changing market. Here we would like to reiterate that we do not compromise on the quality of treatments.